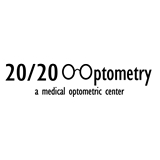 20/20 Optometry (San Ramon) - Book Appointment Online! Welcome to 20/20 Optometry, your source for all of your vision care needs. At 20/20 Optometry we are committed to high quality, personal and effective vision care using the latest technologies. Our Mission is to provide the highest quality eye care experience by consistently exceeding the expectations of our patients' vision needs, eyewear, eye health management, and service. PLEASE BE AWARE THAT WE HAVE IN PLACE A 24 HOUR CANCELLATION POLICY. PLEASE GIVE OUR OFFICE A CALL 24 HOURS PRIOR TO YOUR APPOINTMENT IF YOU ARE UNABLE TO KEEP YOUR APPOINTMENT TO AVOID A CANCELLATION FEE. THANK YOU. Very professional and thorough. Went in for a routine checkup for glasses and he did a thorough exam, which is great because I found out some things (concerning my eye health) that I need to keep a watch on. I appreciate the knowledge, time and care Dr. Na puts into every visit. I even got a couple eye exercises to do if I want to improve my sight. No matter how simple your visit may seem to be, Dr. Na will make sure everything is checked so your sight in the future will be the best it can be!